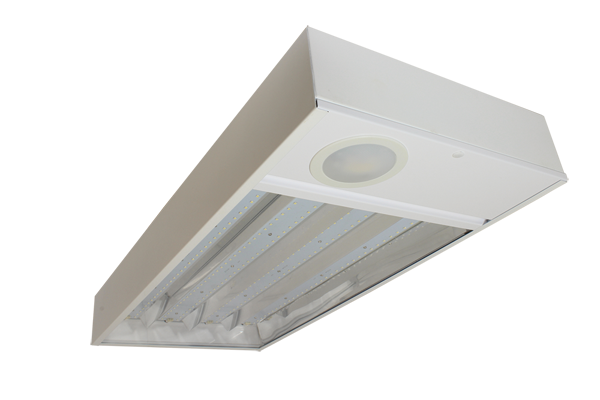 Our 80W & 120W LED Lowbay Lighting is designed with a Daylight Harvesting Function to make lighting even more convenient and reliable. Performing with an automated operation to enable the luminous output, the Daylight Harvesting function will utilize lighting in your environment based on the daylight already provided. Adjusting the dimming and switching of lighting loads depending on their distance from ambient light sources, such as windows and skylights will allow significant energy and demand savings. Our 220~240Vac energy efficient feature generates energy savings by decreasing electric light contribution as the daylight contribution increases. Performing with a white fitting and instant light without flicker, our reliable Lowbays are ideal to light up your industrial and commercial environments, incorporating an IP20 rating. Executing a high lumen output, choose from 10~100% occupancy functions to suit your requirements. The setting holds off 100% light output should there be sufficient daylight and is set up using the remote control with various functions for you to choose from or pre-programme for each run. LOWBAY 12050K-DH will also adjust its brightness levels according to the natural light while the room is occupied. Providing lower running costs without compromising on the luminaires performance.